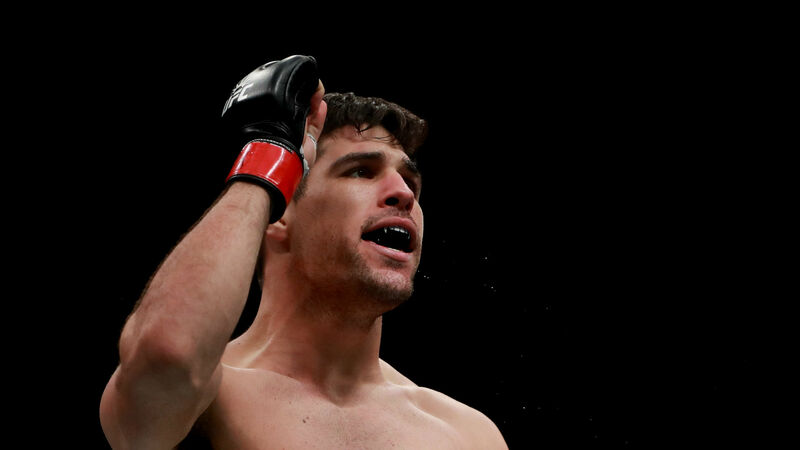 Vicente Luque is going to be the 2019 version of Leon Edwards, who in turn was the 2018 version of Darren Till – a promising welterweight making steady progress up the ranks without much fanfare. All three have crept along, collecting wins, showing flashes and then when they have that breakout performance, suddenly everyone wonders why they never saw them coming. Which I guess means that Luque needs to face Donald Cerrone since it was a victory over “Cowboy” that catapulted both Till and Edwards into the Top 10. There is this weird thing that happens when we’re assessing where a fighter stands in a division where anyone they beat who eventually develops into a contender doesn’t carry as much weight if that win came before they became contenders, however beating a plateaued veteran or someone with a name on the downside of their career still has clout. Example: Kamaru Usman beating Edwards in December 2015 doesn’t garner much acclaim because Edwards wasn’t the Top 10 presence that his is now at the time, yet Mike Perry icing Jake Ellenberger was considered a big deal because Ellenberger was a contender a bunch of years ago. That’s what kept Till and Edwards under the radar until they exploded with their respective wins over Cerrone and why Luque is still making steady progress in the shadows despite being 6-1 over his last seven fights with finishes in each of those wins and Edwards being responsible for his lone setback. On paper, the 26-year-old Brazilian offers everything fight fans (and promoters) say they’re looking for – he’s a young, attacking, dangerous finisher who can knock you or submit you and he’s been steadily beating strong competition since being a member of Team Blackzilians on Season 21 of The Ultimate Fighter. His last three victories have come against talented fighters hovering outside the Top 15 in the deep welterweight division – Belal Muhammad, Niko Price, Chad Laprise – and were all impressive stoppages, while the only guy that has bested him in the last three years was Edwards, who has since gone on to break into the Top 10 by pushing his winning streak to six with his win over Cerrone. Luque is the epitome of what it means to be “under the radar” and squaring off with a newcomer like Jalin Turner – who is dangerous and worth keeping tabs on going forward himself – isn’t going to help him make any real headway in the rankings or with fans. But the part that really matters is that Luque has the skills and demeanor to become a factor in the welterweight division in the not too distant future. Welterweight is in a strange place right now as many of the familiar stalwarts who have been fixtures in the Top 15 for the last several years are starting to fade and being replaced by well-rounded, lesser-known talents like Edwards, Alex Oliveira and Elizeu Zaleski dos Santos; dangerous fighters who have built up solid resumes, but who don’t stand out in any one particular area or give off a championship aura. While the upper echelon feels pretty formidable, spots seven through 15 feel like they’re permanently up for grabs and depending on the matchups, anyone in that collection or lingering just outside of that group could beat one another and it all comes down to opportunity and exposure. Oliveira and dos Santos just earned victories, so they’ve made a little headway in the rankings, even though those victories came against late replacements. If Luque can go out and impress against Turner to extend his winning streak to three with a stoppage of Muhammad, who has won four straight himself since their encounter at UFC 205, than he could very well force his way into the conversation in the lower third of the rankings. And from there, it’s all about the next matchup. What makes “The Silent Assassin” such an intriguing fighter to watch in the welterweight division is that he has both knockout power and a slick submission game, and he’s shown zero preference towards one or the other. If you want to stand, as Laprise did in Chile earlier this year, Luque will hit you with sharp counters and stinging jabs. If you find yourself on the ground, he’ll quickly lace up a choke, like he did against Niko Price. His defensive wrestling has been his greatest Achilles heel thus far in his UFC career and needs to improve, but he has working relationships with several excellent wrestlers, including Usman, and coaches who can help shore up that area of his game and craft strategies that put him in advantageous situations inside the Octagon. Luque has shown some of those improvements and changes over his last two appearances, staying just outside of range when he’s not attacking and retreating out of range quickly once he’s landed. If he can maintain that approach and continue to be aggressive without over-extending, the 26-year-old Brazilian will continue to force opponents to deal with his pressure, his output and his weaponry, rather than being able to initiate any meaningful offense of their own. And in those settings, Luque is a handful. Two years ago, no one was talking about Darren Till as a welterweight contender and now he’s fought for the title. Earlier this year, people were still sleeping on Leon Edwards, but then he out-worked “Cowboy” and everyone started to pay attention. Luque has the talent to follow the same path forward and it will be on full display this weekend at UFC 229 in Las Vegas.